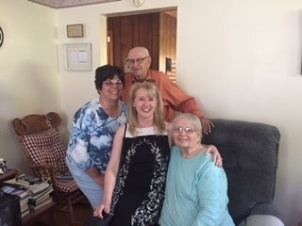 The agents of Berkshire Hathaway HomeServices Verani Realty’s (Verani) Nashua and Amherst offices spent a few days this May helping local senior citizens through VeraniCARES, Verani’s social development and philanthropic arm. 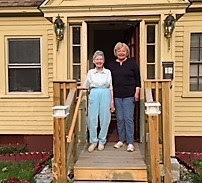 Ambassadors Marie Cruise and May Balsama, who represent their fellow agents on the VeraniCARES Board, contacted area service agencies for recommendations of people who have difficulty in maintaining their properties and are struggling to stay in their homes. Four were identified who would benefit from a helping hand in spring clean up of their yards. Flowers were added to brighten the doorways. The effort was inspired by the mission of the VeraniCARES Fund and the companywide May Day Give-A-Thon, which empowered each of Verani’s office to give back to local causes throughout the month of May. 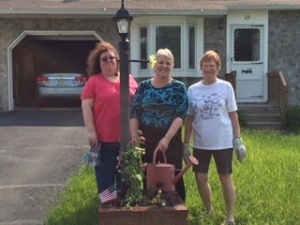 “Visiting each of the homes and seeing the joy on the faces of the home owners was a reward I wish we could have shared with all the agents in the offices that participate in the VeraniCARES program,” said Michael Scanlon, Regional Manager of the two offices. “I can’t believe how nice my place looks,” was heard at all four properties from the elderly residents who are challenged with outdoor work. Funds for the efforts were part of the companywide May Day Give-A-Thon, which distributed more than $45,000 to nonprofits and local causes across New Hampshire and Massachusetts. Each of Verani’s offices had an allocation of money to spend however the agents felt met the mission of the fund. VeraniCARES is funded by Verani agents and staff, who have the option of donating to VeraniCARES by either payroll deduction or from sales commissions, and Verani will match up to $10 per donation. A board of representatives determines the charities and projects to support. The primary criteria for selection is that charities are aligned with shelter or community-related causes.